Below is a chart that lists the eight surgical nursing specialties this article covers. The table provides the name of the position and the type of nursing environment to expect. 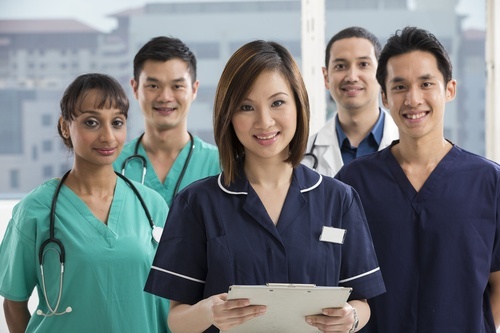 All of the roles require you to be a licensed, registered nurse. As you read details about the positions, you’ll learn the general duties performed, the educational path to follow, and information on the certification process. Another name for a cardiac cath lab nurse is a cardiac-vascular nurse. This type of surgical nurse assists surgeons with the insertion of a catheter into a chamber or vessel of the heart. This procedure is used to diagnose or treat heart conditions. It’s possible you’ll also assist with coronary catheterization. These procedures are performed in highly specialized labs using advanced technologies in cardiac care. Pacemakers and cardioverter-defibrillators (ICDs) implants. Obtain an associate or bachelor degree in registered nursing. Hold a current, active, unencumbered RN license. Participate in a six-month cardiac cath lab training program run by a hospital. Work two years in an ER, ICU or coronary care unit. Once you receive the RN-BC credential, it will have to be renewed every five years. Because eligibility requirements, fees and continuing education information changes as the industry does, check the ANCC website for details when you’re ready to begin the education process. You may be interested in watching this video about the cardiac nursing specialty. As the name implies, a nurse anesthetist gives anesthesia and anesthesia-related care to patients before, during, and after surgery. A CRNA faces a variety of situations and unexpected events during operations. That’s why the path into this field is so intensive. Nurse anesthetists are among the most in-demand, and highest-paid, of all nursing professions. Helping patients with pain management. Providing operating and emergency room care. Obtain a bachelor’s degree in nursing. Earn a master’s degree in nursing. Work a minimum of twelve months in acute care (either in an ICU or ER). Complete a nurse anesthesia educational program accredited by the Council on Accreditation of Nurse Anesthesia Educational Programs (COA) within the previous two calendar years. The Continued Professional Certification (CPC) is their recertification program. It consists of two four-year cycles. The CPC is a relatively new program, so it is always best to check the NBCRNA website for current details. They provide detailed manuals and samples of test questions. As you may know, the field of ophthalmology involves eyecare beyond optometry. An ophthalmic nurse cares for individuals faced with severe eye disorders and serves as a vital member of surgical teams. Helping patients with glaucoma, cataracts and other eye trauma. Positioning patients and verifying surgical sites. Serving as a circulating or scrub nurse during eye surgeries. Obtain your nursing diploma, associate or bachelor degree in registered nursing. Work a minimum of two years as a registered nurse in ophthalmic nursing. Have two years of full-time or the equivalent (4,000 hours) experience in ophthalmic registered nursing practice. Continuing education and recertification is required for a Certified Registered Nurse in Ophthalmology (CRNO) every five years. The certification exam itself is only given twice a year. It is always advisable to check the NCBORN website for current details. You can also download manuals and outlines about requirements and the test itself. Otorhinolaryngology nurses provide care for patients facing illnesses, diseases, or disorders related to the head. Areas include the skin, neck, ears, nose, oral cavities, and cranial nerves. Providing support for patients undergoing medical and surgical procedures. Work a minimum of three years as a registered nurse. Have at least three years of experience in otorhinolaryngology and head-neck nursing practice. Upon passing, you will become a Certified Otorhinolaryngology Nurse (CORLN). The test is only offered twice a year, so checking the SOHN website for updated information is always the best practice. Currently, CORLN recertification is required every five years. Perianesthesia nurses, or recovery room nurses, carefully monitor patients as they recover from the effects of anesthesia after surgery. Perianesthesia nurses are well trained on how to handle patients with unexpected reactions upon awakening such as confusion or pain. They often consult with patients before and after surgery, and provide information about ongoing care at home once the patient is discharged. Caring for patients in recovery. Giving patients recovery tips for home. There are two certifications for a perianesthesia nurse. Each covers a specific phase of anesthesia. The first, the CPAN, certifies a nurse to care for patients in the post-anesthesia phase. The second, CAPA, is more extensive. It certifies a nurse to care for patients in preanesthesia, the day of the surgery, and post-anesthesia and extended care. You can be certified in one or the other, or opt for dual certification. Apply to take your certification through the American Board of Perianesthesia Nursing (ABPANC). Have 1,800 hours of direct clinical experience caring for patients in post-anesthesia Phase I obtained within the two years prior to applying for initial certification. Have 1,800 hours of direct clinical experience caring for patients in preanesthesia phase, day of surgery/procedure, post-anesthesia Phase II and/or extended care obtained within the two years prior to applying for initial certification. Direct clinical experience hours required for both CPAN and CAPA (1,800 hours each). Because of the complexity of two potential exams and dual certification, and specific testing dates, it is recommended you visit the ABPANC for details and updates to their handbook. This two-minute video entitled We are Perianesthesia Nurses may be of interest to you. Perioperative nurses care for patients during the entire course of their surgical experience. They monitor patients to ensure they are receiving the best quality of care during surgery. They also serve as intermediaries between the surgical team and the patients’ families. They can be seen assisting in the recovery room, and sharing post-operative tips patients should follow when they return home. Interviewing and assessing patients for surgery. 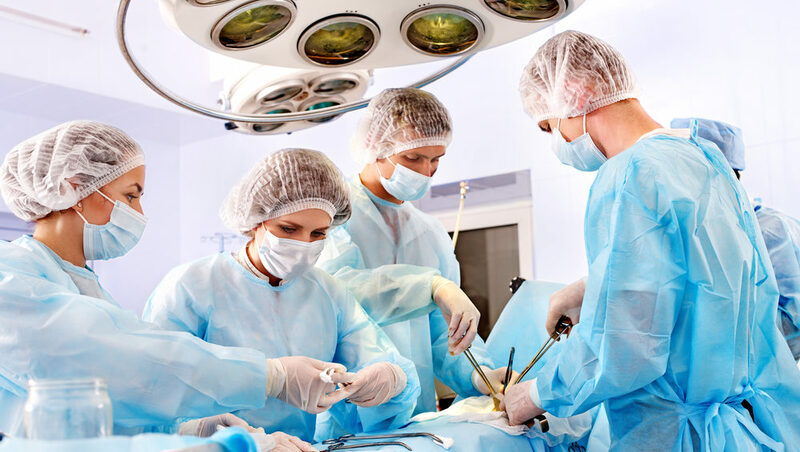 Maintaining a sterile operating room throughout surgery. Monitoring patients and coordinating care during surgery. Obtain a bachelor degree in registered nursing. Gain experience working in critical care and in the ER. Be currently working full-time or part-time in perioperative nursing an area of nursing education, administration, research or clinical practice. Complete a minimum of 2 years and 2,400 hours of experience in perioperative nursing, with a minimum of 50% (1,200 hours) in an intraoperative setting. Recertification for a Clinical Nurse Specialist-Certified Perioperative is required every five years. The CCI site contains updated information on initial certification and renewal. A Day in the Life of a Perioperative Nurse may give you additional insight about this career. Plastic surgery nurses help patients facing or recovering from plastic surgery procedures. They with procedures that range from small and elective, to more complicated operations like facial reconstruction. Working with surgeons and other members of a surgical team. Diploma, associate or bachelor degree in registered nursing. Work for two years as a registered nurse in surgical nursing with half the hours being in plastic surgery. Have a minimum of two 2 years of plastic surgery nursing experience as a registered nurse in a general staff, administrative, teaching, or research capacity within 3 years prior to application. Have a minimum of 1,000 practice hours in plastic surgery nursing during 2 of the preceding three 3 years before making application. Work in collaboration or in a practice with a physician that is Board Certified within one of the following core specialties: Plastic/Aesthetic Surgery, Ophthalmology, Dermatology, or Facial Plastic Surgery (ENT). Have a minimum of 2 years of nursing experience as a registered nurse within one of the listed core specialties above in a general staff, administrative, teaching, or research capacity within 3 years prior to application. Have spent at least 1,000 practice hours within the core specialties during the preceding 2 years before making application. Recertification for either credential is every three years. Because there are two exams with different eligibility requirements, and the tests are given only during certain times of the year, it’s best to check the PSNCB website. You may want to view this short video on What is a Plastic Surgery Nurse? Transplant nurses work with patients who donate and receive organs. These nurses are highly skilled at preparing living donors for transplant operations, including any risks involved in the donation. They perform similar services for patients receiving transplant organs from deceased individuals. Transplant nurses assist medical teams during surgery and work in post-operative care. They carefully monitor patients for post-transplant complications like organ rejection. Clearing patients and donors for surgery. Monitoring patients’ vital signs after surgery. Ordering lab tests to confirm an organ match. Get diploma, associate or bachelor degree in registered nursing. Get a few years experience in critical care, intensive care or medical-surgical nursing. 24 months general experience as a registered nurse. 12 months experience while working as a transplant nurse, which can occur concurrently with RN experience. Recertification for a Certified Clinical Transplant Nurse (CCTN) is every five years. Check the ABTC website for updated information when you are prepared to embark on this career path. As you have read, all of these specialties require experience in the field before you are eligible to take the exam. It is essential to understand that practical field experiences do not adequately prepare you to pass any of the certification tests. You have invested substantial time and financial resources for your education, so it is recommended that you take a preparatory course for your selected exam. You should also use the review materials and practice tests provided to you on each site. Most successful candidates spend two to three months consistently studying before attempting their exam. Since there are fees involved, you want to pass your exam the first time. So, create a study routine and follow it faithfully. It can also be helpful for you to join a professional organization associated with the surgical specialty that most interests you. In some cases, the organization can offer you reduced exam fees and special training materials. No matter what surgical specialty you prefer, you will have to obtain a degree in registered nursing and gain practical experience in the field. If you dedicate yourself to becoming a surgical nurse, you will find more career opportunities open to you. If any of these nursing specialties has sparked an interest in a nursing career, you can get started today with one of two kits from The Apprentice Doctor. There’s no need to wait until you are in an official nursing program, or even in college. Either kit enables you to practice skills you’ll need in any nursing career. The Apprentice Doctor® Suturing Course and Kit is a resource that teaches you how to suture wounds in a short period of time. As a nurse, you’ll use this skill almost daily. The kit contains everything you need to get started. Take a look at the following video for a closer view of the contents of the kit. The Apprentice Doctor® Phlebotomy Course and Kit is another handy resource at your fingertips. This program teaches you how to confidently perform phlebotomy procedures. Drawing blood is a skill nurses perform frequently – and they have to be very good at it to minimize any discomfort for the patient. If you want to start your education being a great nurse, why not begin phlebotomy training right away? Take a quick look at the following video for an introduction to the kit. For an podcast interview with a surgical nurse, click here.